Go forward in time to April 2006. Today, the Elbe river has started flooding and it is like 2 or 3 meters over the normal. Some streets along by the river are under the water, and it is expected that the river will keep on rising. The situation in Dresden is still normal. Nothing compared with the flooding of 2002. Some other small towns in the east of the city, like Bad Schandau and Stadt Wahlen, are probably in a little more complicated situation. 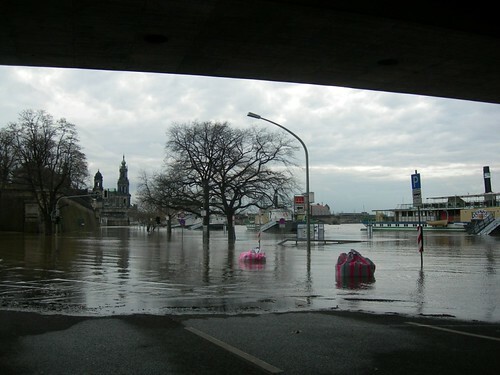 It seems like the Vltava river is also flooding, causing a lot of problems in Prague. My friend and neighbour Andreas got his Master degree in Informatik today. His research topic is about Four-valued logic for Paraconsistent Reasoning, a very interesting approach to deal with inconsistencies in information coming from different sources. Gratuliere dich, Andreas! Given that the users of this mailing list are simply students, most of them are not really proficient with computers. Therefore, when they receive an email from the mailing list and want to reply it privately they just press the reply button, write the reply, and send it. Given that you have decided to override the default value of the mailman option reply_goes_to_list of Poster and instead of it allow users to answer always directly to This list, we the users of the mailing list receive private emails all the time. reply_goes_to_list (general): Where are replies to list messages directed? Poster is strongly recommended for most mailing lists. (...) modifying Reply-To: makes it much more difficult to send private replies. Some administrators justify Reply-To munging by saying, "All responses should go directly to the list anyway." This is arrogant. You should allow me to decide exactly how I wish to respond to a message. If I feel a public response is justified, I'll hit the "g" key and tell Elm to do a group-reply. If I believe a private response is more appropriate, I'll use "r" to send one. Please allow me the freedom to decide how to handle a message. Could you, pretty please, with sugar on top, restore this option to its default value so we the users, stop getting very annoying emails everyday? I would thank you eternally. Bored of having to crop manually your pictures to square them in the gaim buddy icon? Then try this patch against the CVS version. Came back on Sunday from Budapest. 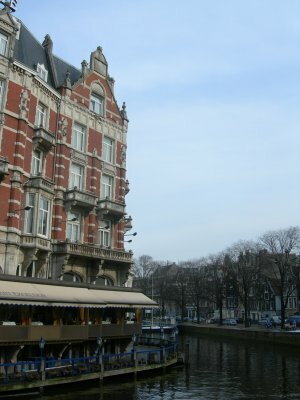 Here are some of the pics I made during the days on Amsterdam, Vienna, and Budapest. 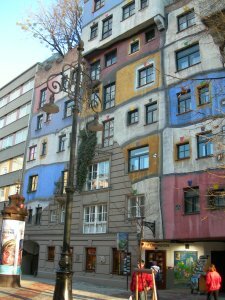 I already wrote about Vienna and Amsterdam, and will write about the highlights in Budapest when I have some time. Nóra and I went for the weekend to Vienna, the Austrian capital. We found there a relative cheap accommodation (considering the facilities) and stayed from Friday until Sunday. The weather in Vienna showed us that we are still in winter. It was terribly cold all the days, but fortunately, we only had snow in Sunday afternoon, Several of the places we visited had a lot of ice and snow, flowers without even thinking in blooming, and a gray feeling all around. But, in spite of the weather, Vienna is a very nice city. There are a lot of beautiful buildings everywhere, the coffee is great, and it worth to try the sweets. Prices in cafeterias and restaurants are	not really cheap, but you can drink a coffee and stay the whole afternoon if you want, because Austrian people is very friendly. The German talked by Austrians is definitively easier to understand than the one talked by people in Saxony. Their accent is different, they pronounce some consonants differently than the way the Germans do, but it is still easier. The way they greet and say goodbye is different, too. Instead of the classical Guten Tag and Auf Wiedersehen in Germany, they use Gruß Gott and Wiedersehen, but the latter pronounced a little different. Anyway, it was not always easy to understand them. We asked a girl in the metro if she knows some typical Austrian restaurant where we could eat a Wienerschintzel, because we had problems finding anything else than Chinese and Turkey restaurants, and when she replied we didn't get a single word of what she said (it seems that she actually wasn't from Vienna, though). Lesson learned: next time, try English first. 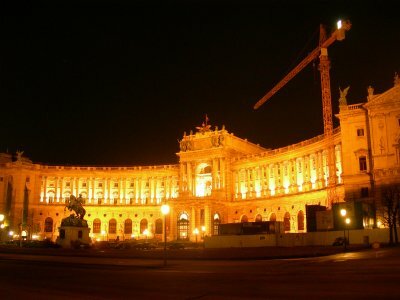 So, after looking that night through all Vienna for a local cusine restaurant, we ended up in the Mozart Stube, just 50 mts. from our hostel. The meal there was very good and finally, we satisfied our need for a good Wienerschnitzel mit Salat. 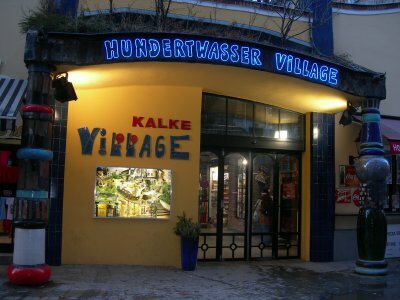 Some of the places we visited were two Hundertwasser Häuser, the Schönbrunn castle, the Volksgarten, the Stadtpark, and the Stephensdom. Had a very beautiful days in Amsterdam last week. The Dutch city has much more to offer than what it is stigmatised for, and it brights in his diversity and colorful. Marie, Matthias and I started the travel on Thursday morning from Dresden to Göttingen using the German trains. We had to change trains in two towns, and arrived to the Gauß city at midday. 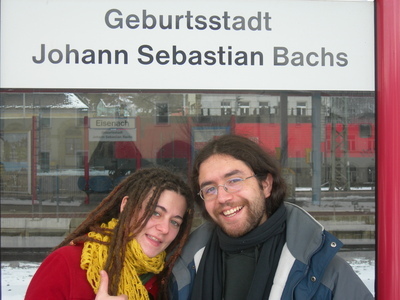 One of the towns where we had to change train, Eisenach, in Thuringia, is the birthplace of Johann Sebastian Bach. Even when we didn't move from the station during the 20 minutes waiting, it is lovely to know that we were a little closer to the most brilliant composer ever. In Göttingen we started the travel as Mitfahrer. In Germany it is usual to travel with the so called Mitfahrgelegenheit (or carpool in English, I think). It worked in the following way: We found in the web a man traveling on Thursday from Göttingen to Amsterdam in his car, we contacted it, and payed like € 20 each one, for the 5 hours travel. Very cheap and comfortable. We arrived to Amsterdam at 17:00, where Carolinne was waiting for us. She had to travel alone from Dresden, because she decided to join us a little late, when we had everything already planned, but after all, she had a quiet travel and we picked her up in the Central Staation. Dutch is really funny. At least, for people who speak both English and German. When listening to it, you feel you understand what they are saying to you, but you don't know if you are using your German knowledge or your English one. I don't want to offend Dutch people, but, in my ignorance about the language, I would say that it is a mix between German and English. For example, in German exit is said Ausgang (Aus is a preposition that could be interpreted as a way to refeer to outside). In Dutch, out is said uit, so, exit in Dutch is said Uitgang. Another example: street (English), Straße (German), and Straat (Dutch). After visiting every possible place during Thursday evening and Friday, Saturday morning I flew to Budapest to visit my lovely Nóra. I had a quiet flight with a cheap european airline, cool enough for people booking with anticipation to get real cheap tickets. I will stay here during the next days. We plan to make a short trip next weekend somewhere in Poland or Austria. I feel incredible. It is always so good to be close to her. Flash advertisements are annoying, but flash advertisements with sound, played without even asking you, are even more annoying and disgusting. 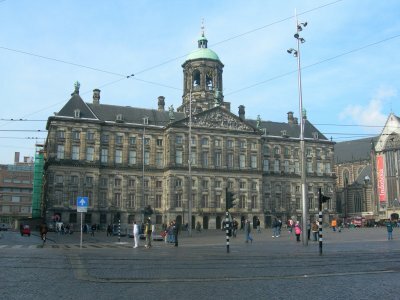 In four more hours am leaving to Amsterdam. Yay! Like every other kid in the neighborhood, I installed Xgl and compiz to give it a try and see how wonderful could it be. It wasn't a trivial task, but merging the advices of a guide for Ubuntu and another for Debian, I managed. With my video card the performance is not really good. But compiz is very impressive after all and I am sure that it will kick asses in the near future. The only things that doesn't work properly are the cube, the video playback, OpenGL applications, and the keyboard. Go backwards in time to February 2006.